Former Manchester United manager Jose Mourinho reportedly wants a transfer swoop for Real Madrid midfielder Luka Modric as he prepares to be the next Paris Saint-Germain manager. 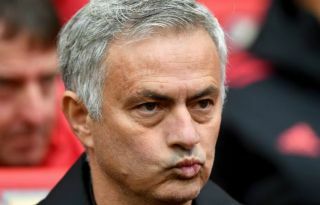 Diario Gol claim PSG are interested in hiring Mourinho after the failure of current boss Thomas Tuchel to take them further in the Champions League this season – a competition they’ve been eager to win for some time now. Diario Gol also claim that, as Mourinho prepares for the PSG job, he’s eager to pounce for the signing of Modric to boost his midfield at the Parc des Princes. The Croatia international remains one of the very best in the business at what he does, and won the most recent Ballon d’Or after a memorable 2018. Having helped Real Madrid to a third Champions League final win in a row, Modric then also reached the World Cup final with Croatia the following summer. The 33-year-old is now surely in the final few years of his career, but surely has one big move left in him too, with PSG perhaps a tempting option due to the less competitive nature of Ligue 1, plus the potential prospect of working under a world renowned manager like Mourinho.